Point2 Blog - Our story about growing up in paradise. Our story about growing up in paradise. Introducing where Luis came from. Our Origin: Southern Pacific Costa Rica. The needle fish in the Golfo Dulce are a very integral part of the local peoples life. Luis grew up learning about the foods, plants, animals, traditions and beliefs that his mother and father knew so well. From a very young age he was taught how to clear ground and plant crops such as corn, yucca, plantains and beans. He was also taught to fish and dive for lobsters, oysters and conch that were all a very important part of the daily diet. A very unique part of life at the beach is when the needle fish in the Golfo Dulce come to spawn. The art of catching the fish when they come close to shore has been passed down from generation to generation. During the spawning hundreds of specimens congregate to lay eggs. This happens on the 6th, 7th and 8th day after the full moon as the sun begins to set. The fish have chosen 3 or 4 well protected beaches to lay their eggs. 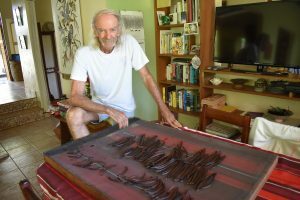 The needle fish of the Golfo Dulce are long slender fish with a pointy snout and sharp teeth so they can be dangerous to handle. Getting the meat separated from the bone is an art which produces a boneless fish filet. Luis’s family was lucky to live just a few hundred yards away from one of the locations where these specimens came to spawn. Every month they would go and get large amounts of the fish to eat. At an early age Luis learned to catch and filet the needle fish. Luckily his mother shared several of her recipes for preparing needle fish filet during our times together. 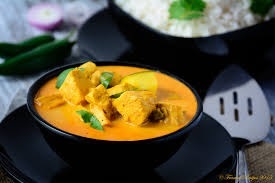 Most commonly the fish are fried in coconut oil or boiled in coconut milk. When there was an abundance of fish the filet were smoked. The needle fish in the Golfo Dulce spawn every month so the locals could always count on filling their diet with fish during those days. Luis and I have similar backgrounds of planting and harvesting crops along with gathering whatever else nature provides for a very healthy and sumptuous diet. 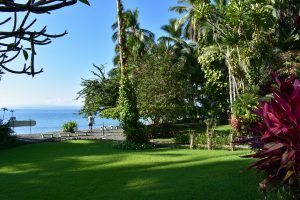 Growing up at Playa San Josecito in the Golfo Dulce was by far one of the best ways to become educated in survival and self-providing. The knowledge we acquired has allowed us to raise our sons with healthy diets of fresh produce. It is a blessing to know how to use our local fruits and vegetables which are available at the weekly market. So enough about me, it is time to give you a little back ground about my husband Luis. His mother was born on one of the beaches in the Golfo Dulce but his father came from the central part of Costa Rica, a place known as Puriscal. Clara, his mom, grew up knowing about the local plants and amassed an incredible knowledge of their uses both edible and medicinal. Rodrigo, his dad, came to the area thru working with the banana company; he worked to put in the railways that connect Golfito to the rest of the country. 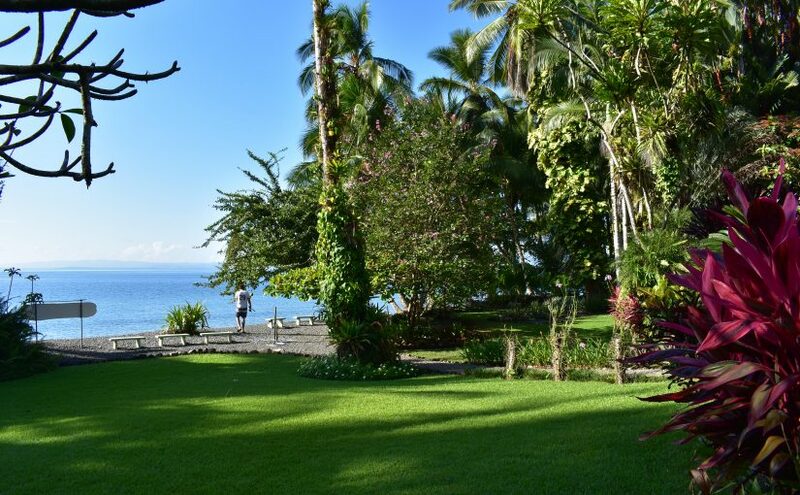 He quickly decided he loved the land and the pristine waters of the Golfo Dulce. Rodrigo and Clara worked hard to provide for their family of 10 children. He inherited a property from a dear friend where they lived and grew food crops such as rice, beans, corn, plantains and yucca along with raising pigs and chickens. It was a hard life and when they were able to move down the beach and get paid to take care of the school house they did so. Even then they continued to grow food crops for themselves and their pigs and chickens, cooking on firewood they collected and hauling water from a nearby stream. A few years after moving, my parents showed up looking for property and Rodrigo sold them his old farm. We often joke about destiny having its ways of keeping things in the family. Clara and Rodrigo taught my parents so many things about how and what to use from the jungle around them. Clara was a strong woman, giving birth to 10 children of which Luis was the next to the youngest. Luis had to work at a young age to help his Mom as his Dad’s health was declining by then so he became very close to his mom. She was a wonderful mother in law and grandma. 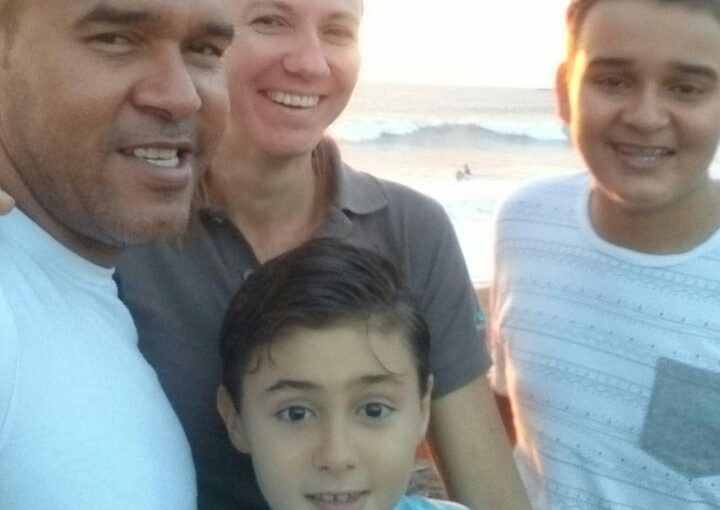 Rodrigo and Clara lived at Playa San Josecito (the beach where Luis and I grew up) for their entire life together. After Rodrigo passed away Clara decided to move into Golfito to be closer to conveniences as well as the hospital as her health was failing. She lived there for about 10 years before passing on also. She was a wonderful person and we miss her. Posted on April 13, 2018 Leave a comment on Introducing where Luis came from. Could you imagine growing up in Costa Rica? Growing up in Costa Rica at Casa Orquideas offered a very different childhood, to say the least, from what most of you are familiar with. A normal daily routine on the farm was to get up early, have breakfast, work in the gardens, swim, take a nap, work some more, swim again, have dinner, and go to bed. When it was time to go to school, I would have about 4 hours of classes in the morning with a tutor. After I completed my chores, being able to swim freely in the warm Pacific Ocean just a few steps from the house made my life paradise. I would always help out doing whatever I could around the farm. Mom trained me very early to be able to tell when foods were ready to be picked. That is probably the earliest and strongest memory I have: picking cherry tomatoes, cutting okra, hunting squashes in a squash patch, picking corn and many other edibles fresh out of the garden. My parents would try growing almost any new plant that was offered to them; we even planted asparagus once. Mom and Dad loved working on the farm and made use of whatever was around. 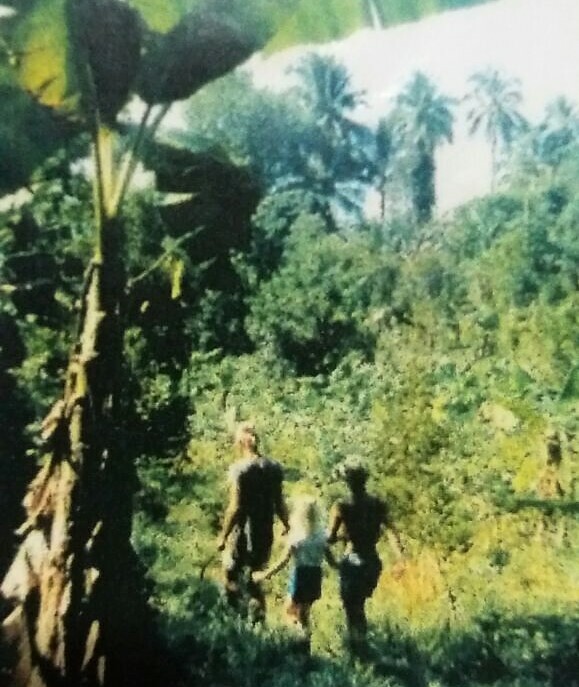 I remember when I became old enough to go with Dad to harvest bananas, plantains, pineapples, yucca (manihot), and other items that were planted farther away from the house. The local people were very generous about sharing their knowledge of local foods and taught us well. Dad with his vanilla bean harvest. After a day of harvesting, swimming, and playing Mom always managed to put an amazing dinner on the table. This usually consisted of fresh fish, caught by Dad or my brother as he got older, yucca, sweet potatoes, or some other kind of starch, and fresh vegetables from the garden. The family out to harvest food. After dinner the four of us would play card games for a while or read. My parents loved to read and always had a good source of books to choose from. They would trade books with other foreigners living in the area or with visitors who would come by sail boat. During most of my childhood we did not have a television set, so other forms of entertainment were implemented. Continue reading other blogs to come as I tell my story of growing up in this beautiful country. but mostly due to the fact that they are amazing adventurers. By telling a bit of their story you will understand who I am, where I grew up and why I want to share my experiences. A boat ride away from Golfito is a sandy beach named Zancudo. This is where they built their first home and my brother Ian was born. A few years later after failing at raising any crops in the sandy soil they found a property on the other side of the Gulfo Dulce. Here the soil was rich and things grew in abundance. A plant will grow by just putting a stick in the ground. This is where I was brought into the story. 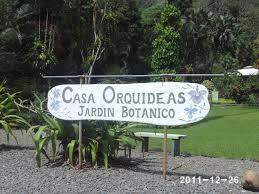 Here at Casa Orquideas is where I grew up and can tell you all about it. So when I say “I grew up climbing trees to pick oranges” you understand why this is so natural to me. There will be many times when you read what I write and think I must have been a female version of Tarzan from the Southern Pacific Costa Rica. 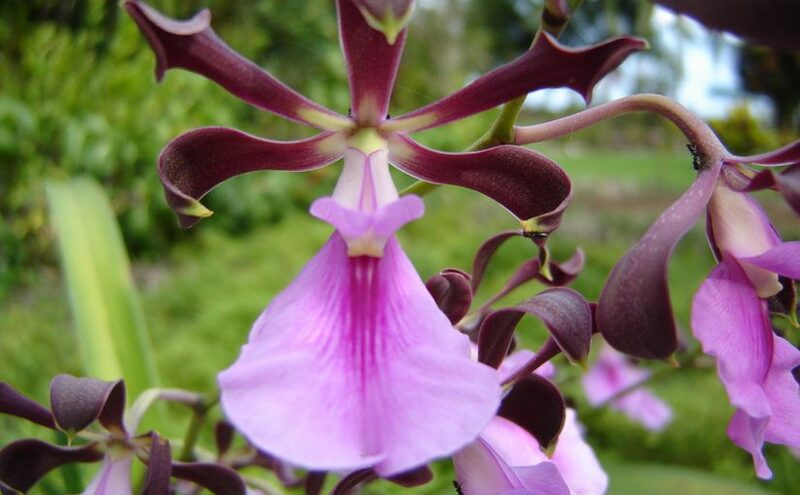 Posted on October 8, 2017 Leave a comment on Our Origin: Southern Pacific Costa Rica. 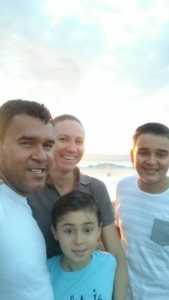 My name is Melanie MacAllister, and I together with my husband Luis Torres and our children Brandon and Jack have started JB Real Estate Costa Rica. This is a business where we would like to help people who are looking into buying property Costa Rica and living here so as to assure they have an enjoyable experience. We would like to share our stories with the public so you get to know us and can trust our actions. 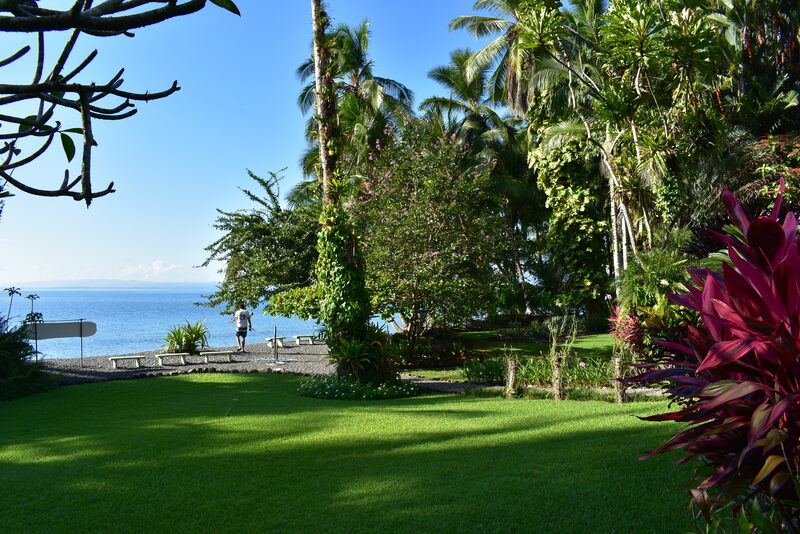 My parents made Costa Rica´s Golfo Dulce their home after traveling for many years around the world. They could see the beauty and peace in this unique country and have lived here happily for over 40 years. My brother and I were raised on a farm where we had plenty of tropical fruits and in-numerable amounts of fresh air and sunshine. Golfito is where I was born and the Golfo Dulce was my home while growing up. I have many stories to tell along with my husband who also grew up just down the beach from me. Then, we too raised our first son there for about 5 years. So we have experience owning property and dealing with real-estate in Costa Rica. We can easily tell you all about buying property Costa Rica, living in this beautiful country, working and raising a family. Helping newcomers make the right decisions about which property to buy so they can have a long and happy experience in their new home is our goal. We want people to enjoy their experiences of buying property Costa Rica. Then they are able to share these with the rest of the world. It is all a matter of finding the right property for the right person. Many foreigners have made a new life here and have formed communities. In the different towns like minded people share their experiences, stories and frustrations that life anywhere is full of.